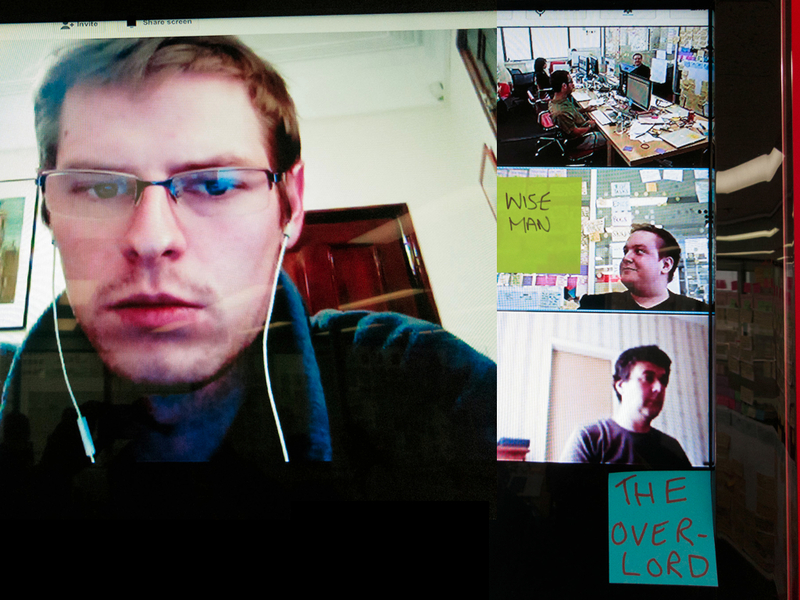 Remote collaboration setup and etiquette | Melbourne, as in the city. Melbourne, as in the city. One of the key mantras of Agile is working in co-located teams. Despite this most of my recent projects have involved a distributed team. It seems to have become inevitable that for one reason or another teams can’t be permanently based in the same space. 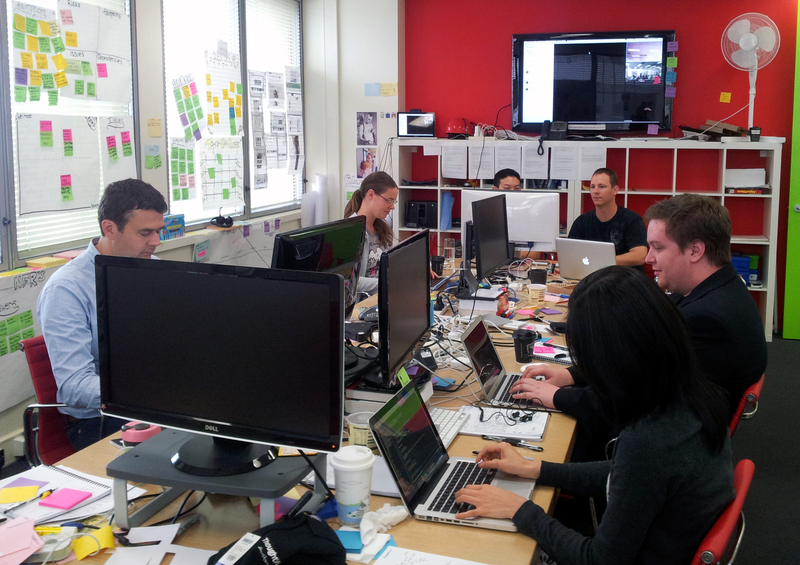 While I believe that co-location is still the ideal, it doesn’t mean that distributed teams can’t also be productive. Over the years of being on both sides of the physical divide (both with the majority of the team or by myself) I’ve learnt that a few simple set-up points or attention to basic etiquette can make all the difference. Here are some of the things I’ve learnt. To me some of these seem really obvious, but based on personal experience over the years I don’t think they are so hence I felt the need to put up a post about it. Set up a video call to connect the different locations and leave it on the entire working day. Picking-up the phone and calling really is a big barrier. Being able to glance over and see the other team or just walk up to the screen and ask a question makes a huge difference is bring remote teams together. I’ve seen this work effectively in a variety of situations. For offshore teams split across two countries, or just projects where the majority of people are based in one room with a few people in different locations. In one recent project we had a team based in Melbourne, with individual people dialling in at various times from Sydney, Brisbane and London. A Google+ Hangout was left always on so team members working remotely could dial-in from where ever they were at the time and still be connected to the team. Here’s a pic of the main project room, you can see the TV up one end of the room with a laptop and camera next to it running a Hangout. It also led to some fun and games playing with people’s titles. It is important to have some face-face contact to get to know people and build a rapport, particularly early on in a project, ideally at the start. The cost of flights & accommodation do add up but having actually met your team members in person makes a huge difference. Even for non-distributed teams the simple act of going out for dinner & drinks together can help break down all the barriers. When you have a team broadcasting itself, make sure the mic is in the middle of the conversation and can pick up everyone equally well. Having the microphone at one end of the room, say at the end of a conference table, will always result in the people at the other end of the room being barely audible. Webcams that have an inbuilt mic aren’t good for groups. You can’t just hang one up at one end of the room where it provides the best view and then expect to do both. This is usually the worst place to put a mic. One of the simplest ways to do this is to use a traditional Polycom phone in the middle of the room for audio (which is usually the best quality audio option) and then put a webcam in a corner hooked up to a TV with Skype running the video (but muted). This is also more reliable as even if the video starts having problems you can still keep talking. This allows anyone remote to see who’s talking, etc. Being able to see the whole room makes a big difference to feeling like you’re in there. While the detail on the wall probably can’t be read in fine detail, being able to roughly see what everyone else is focussing on helps draw the remote person in to the room. This is where having a video conferencing tools such as Google Hangouts come in to play. Two or more people in the room can dial-in to provide different perspectives of the room. If someone is more softly spoken, recognise it and move him or her closer to the microphone. Likewise, do the opposite for people who have no problem projecting their voice. I’ve lost count of the number of times I’ve seen someone sitting right next a mic tapping away at a table, flipping open/closing their phone, etc. On the other end of the phone all you can hear is a banging noise and not the conversation. It’s a simple matter lack of awareness that can completely disrupt a call. No one likes having to call out a heavy breather. And all the background noise adds up. It goes against the co-location idea a little, but I’ve found that in some situations it’s far more affective to have everyone dial-in to a conference call, even when a group of them are sitting in the same area. This puts everyone on the same level and gives everyone their own individual mic, i.e. their own handset. When teams have regular calls where everyone is giving weekly WIP updates it lets everyone sit at their desk and partially listen in rather than falling asleep in a meeting room where they can’t be heard very well when they do need to say something. POTS (plain old telephone system) and conference phones are still the most reliable. Skype can be good for audio calls, but I’ve found running video tends to make it lag after longer calls. Skype is a simple favourite for 1-1. For multiple people Google+ Hangout have become a tool of choice as it’s free, anyone can dial in without needing to be added (a downside of Skype), there in no limit to number of people, and you can share screens. There are plenty others out there but Hangouts seem to be the least restrictive. MacBook pro built-in mics work quite we in a room to capture audio, but they need to be in a central location. Logitech HD Pro Webcam C910 provide both good quality audio & video at a reasonable price. ← Agile UX presentation: Finding time for Design within Agile software delivery. I have to agree. Employers hiring offshore is a trend nowadays. You need to be open and be always ready on working with someone outside your location/country. People hates change but when they’re forced to doing it, they’ll try to adapt and they’ll eventually realize how that change affect things in a positive way. Like for example working from home lessens stress, that’s why remote teams tend to be more productive. Because it gives you comfort and you’re given a flexible time to work but then it also got a disadvantage. Motivation to focus is very hard to maintain since you are very comfortable and there are a lot of distractions. Using productivity tools help a lot. On our company, we use Skype, Google Docs and Time Doctor for time tracking. User Experience & Interaction Designer. Researcher. Design Thinker. Ideator. Collaborator. Visual Thinker. Sketcher. Agile Believer. ThoughtWorker. Sharpie sniffer. Killer of trees, one post-it note at a time.